Fig. 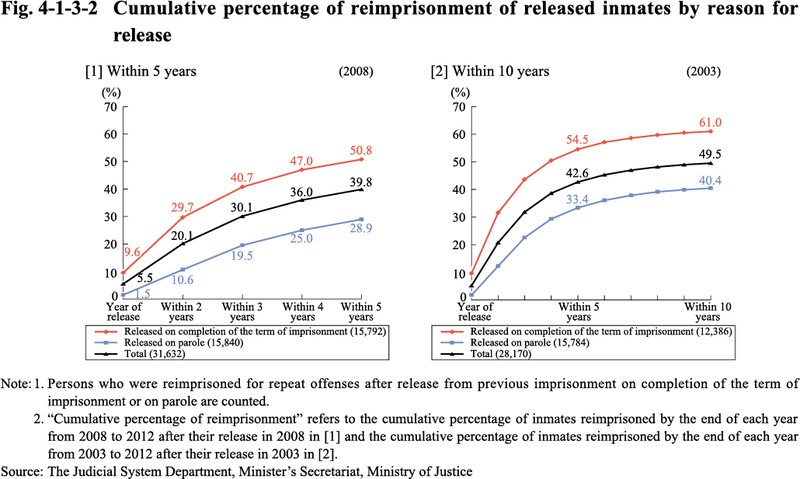 4-1-3-2 shows the cumulative percentage of reimprisonment (the cumulative percentage of prisoners who were released in a particular year and subsequently reimprisoned by the end of each year; hereinafter the same in this subsection) of inmates released in 2003 and 2008 for a period of five and 10 years after release, inclusive of the year of release, by reason for release (on completion of their term of imprisonment or on parole). Fig. 4-1-3-3 shows the cumulative percentage of reimprisonment of inmates released in 2008 by type of offense. Fig. 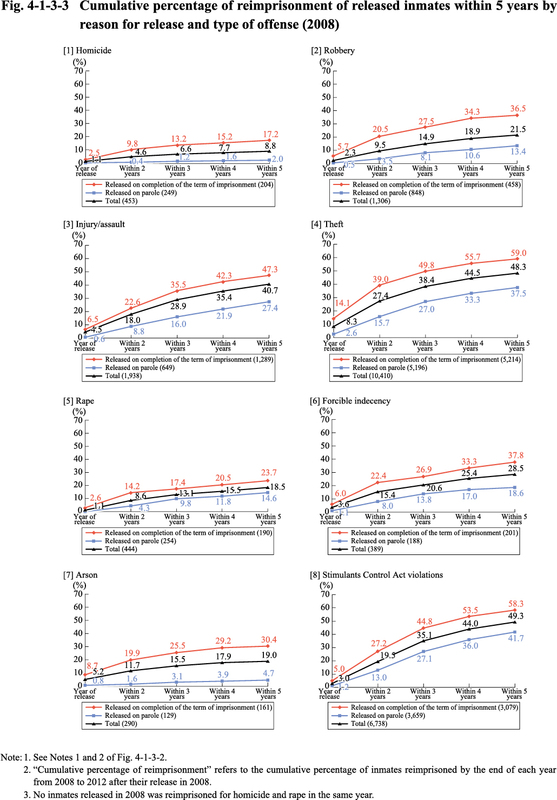 4-1-3-4 shows the cumulative percentage of reimprisonment of released inmates by history of imprisonment. Fig. 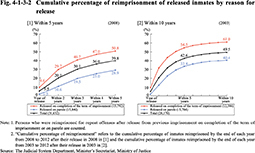 4-1-3-5 shows the trend of the two-year reimprisonment rate by year of release and by reason of release.